Soon, the Czech startup SatoshiLabs, which is behind Trezor hardware wallets, will be five years old. To celebrate this temporary milestone, the management decided to reduce price of the Trezor One by 23% to 69 Euro. Besides, SatoshiLabs was succeeded to agree with the logistic partners, and delivery cost in EU countries will be 15 euros through DHL Express or 10 euros for the certain countries through UPS now. TREZOR - a physical hardware wallet, independent of the Internet. 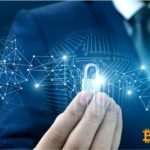 It contains your private keys, and the device "knows how" to sign transactions without connecting to the Internet. Even being an autonomous "cold" storage, the hardware wallet is flexible when performing tasks - both offline and online. Its user can already spend bitcoins at any time. It can be attached to a key chain or worn in a pocket. As you can see, TREZOR allows you to store bitcoins off the network, and when you connect it to the computer, you send the necessary transaction. © 2018 bit.news | queries 231, for 0.583 sec.